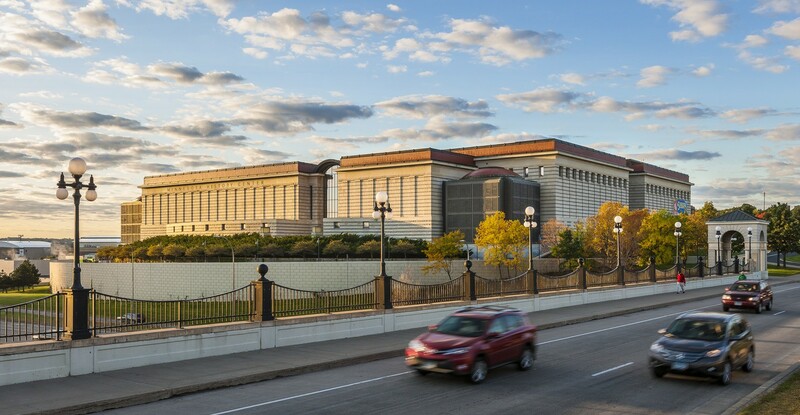 In 1985, the state of Minnesota staged a national competition for the design of a new building to house the Minnesota Historical Society in St. Paul. Five teams were short-listed to participate, including HGA—the sole firm from Minnesota to make the list. Our established approach—listening, learning, researching, and proposing innovative solutions—paid off: our proposal was ultimately selected by the jury and awarded the commission. The 10-acre building site is surrounded by St. Paul landmarks, including the St. Paul Cathedral and the Minnesota State Capitol. The building itself is clearly visible from surrounding freeways. The design team’s challenge was clear: the 420,000-SF center had to stand out and blend in simultaneously. 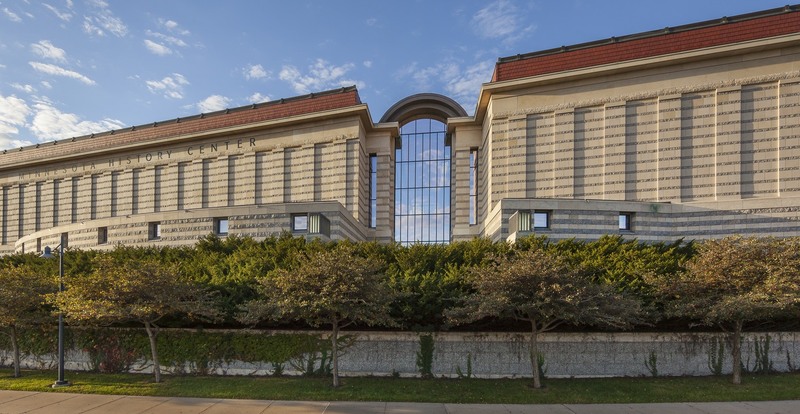 The History Center opened in 1992, yet the structure’s exterior surface of copper, terra cotta, and Minnesota stone still dazzles with its classic forms and contemporary aesthetic. 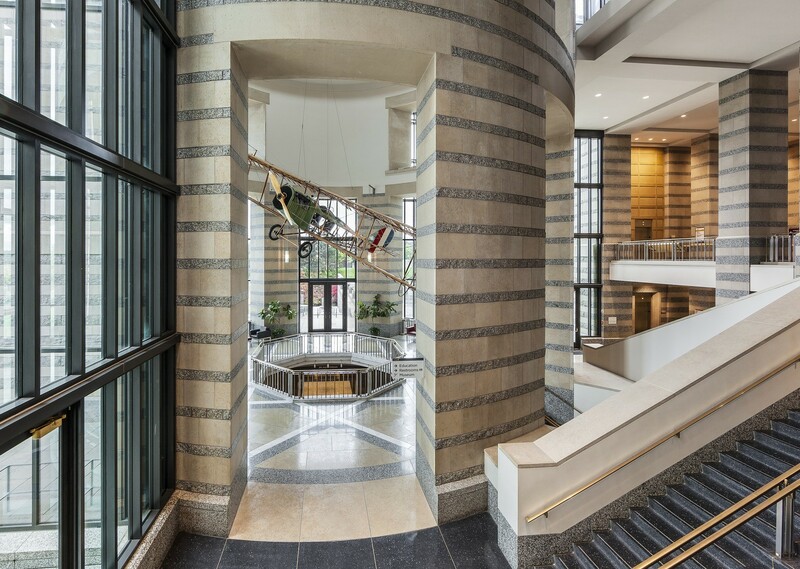 The building’s beautiful interior, especially its vaulted atrium, has also required few modifications in the intervening decades. The center contains several public spaces, including galleries, an auditorium, a museum shop, a research library, and educational spaces. But the facility is also an archive: behind the scenes, staff members maintain, preserve, and care for the Society’s extensive collection of manuscripts, audio visual resources, newspapers, maps, art, and artifacts. 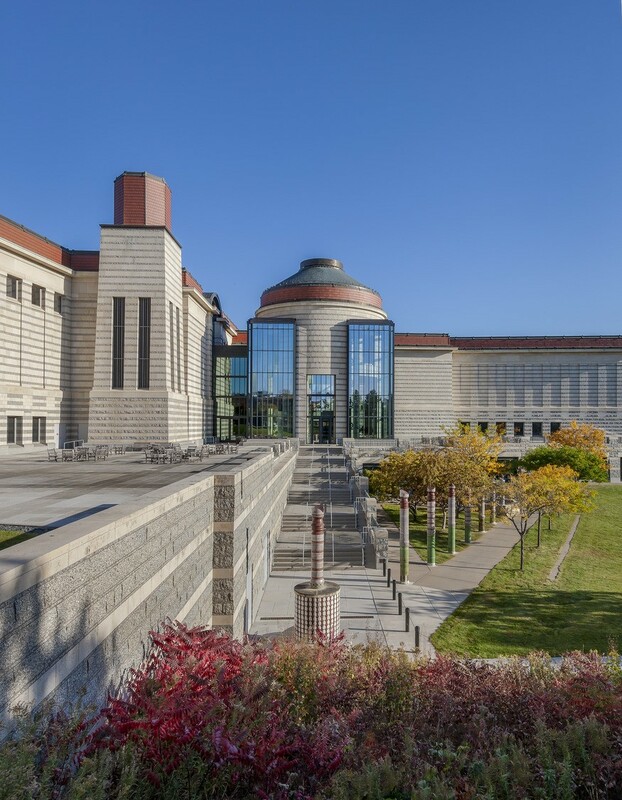 The stories of Minnesotans from many ages are housed here, in a building that visually reflects and celebrates the nature, culture, and industry of the state.